While I am not one to suggest that clients blindly follow design trends, they can certainly provide some inspiration for new and creative things. 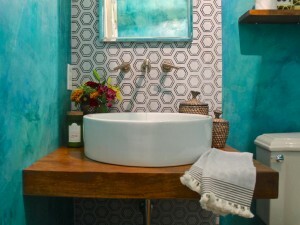 This small powder room by designer Kara Paslay-Combs certainly provides some food for thought. 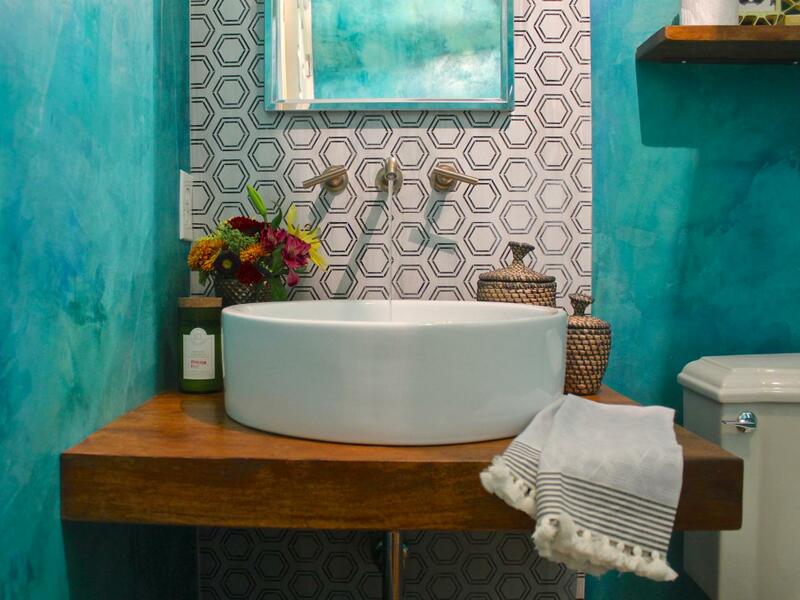 The textured sea green and blue walls give lots of visual interest and provide a contrast to the geometric tile of the back splash, giving an elegant ‘beachy’ feel to the powder room. This feeling of elegance is further enhanced by the raised bowel of the sink, coupled with the wall mounted faucets. However, the solid wooden block counter provides a great visual balance while providing a practical place to put your toothpaste while brushing your teeth! All of these elements have been combined in a very small space without making it feel crowded or cramped and the in wall medicine cabinet provides a practical way to keep clutter off the counter. 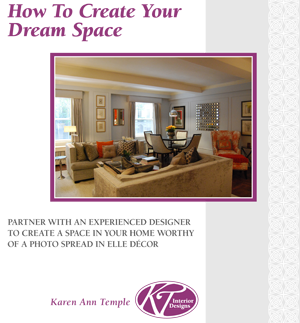 I always follow the major interior design trends to see what is new and different. However, I always council my clients to be careful not to get lost in the design and lose site of the practical elements. 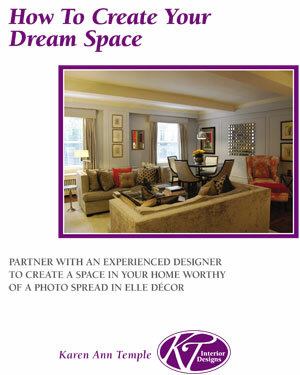 If a room looks beautiful but there is no practical use for room or furnishings, it kind of misses the point! Why don’t we get together and talk about design trends and see if any of them fit your style?